On Tone 3 of Movement, the Dog/OC trecena presents us with the Road of Human’s Destiny. Road/EB, also known as Human, the “bearer of time and conductor of destiny.” The EB glyph illustrates the Road of Destiny on Human’s head. The dots on either side are the milestones of a journey. Our Life’s Journey IS our destiny and We Become the Product of our Choices in the final assessment. We are given a lifetime to bear this journey and the Free Will to make our own choices. Dog is a creature of Opportunity and would encourage us to take advantage of a Blessing. The more time we bear, the more experience makes clear those things we “could have” done, if we’d only made the choice. We can draw Wisdom from that experience to reach for the thing we can do right now. We were all given an equal opportunity to fulfill our Highest Destiny. Our Experiences are the steps in the Journey. How we respond is the Choice left up to us. When our Choices are guided by Love, we are following a Road to our Highest Destiny. We can be misled by the idea of “falling” in love, that Love is a result of something that Happens to us. Divine Love can be experienced from a decision made by Choice. We were given the Beauty of the Earth in all directions as a first gift. And, through the Sacred Right of Choice, we hold the Freedom to Choose how we respond to it. On Tone 3 of Movement we are positioned to bring our Intention to Life. A Choice of our own Free Will draws us into the Movement that creates its own Vibration. A Choice of Love takes on a Life of its Own. Creating the Love we would Share with the World begins by taking action on a Dream that we would claim as all our Own. We would conduct our own journey by moving toward a Love of our Own Creation. Road/EB reminds us that Time will bear the Fruit of our Love. Even our smallest steps can lead us there when we Stay the Course of a Loving Intention. Our success will lie in choosing that same course of Love each day. When we choose to Love each Experience, we elevate a new Love of our Self. As we achieve our own Wholeness, we will have the Love to Spare that naturally extends to others. Tone 3 asks us to take action on an Intention that ignites our Love. As we bring something to Life that is born of our own Passion, we can learn this to be the Highest Love we can offer our Self. Love is the Spark of God that was meant to expand and connect us to one another. Love is an Fire Ignited from the Inside, Out. Road/EB would also remind us of the Invitations to Love that we are offered each day. If we are open to Love, we will hear the clues in every day conversation. By being open to listen, we can Be the Love that’s eager to share the Joy or Pain expressed by others. Both are calls for Love that are satisfied by being seen. Today we are called to take action on a new Choice. We are given a new opportunity to breathe Life into a Dream. To all my relations, may we move forward with a Choice that comes from the Heart. May we Love ourselves, by reaching for something we Dream of. May we have the patience to Bear the Time that is necessary to make a Dream Come True, believing in the Power of Small Steps made in the same direction. May we find from our Experience that our Joy is fulfilled in the Journey. INSPIRING FORECAST: April 11th, Libra Full Moon An IMPORTANT EVENT (on the Astrology Page) – What Kelley Rosano shares in her video forecast for the Libra Full Moon feels so important. The position of the stars signals an In-pouring of Love that is fleshing out the Darkness. We must not engage the Darkness, but only acknowledge that Love is Driving it Out to be Seen and healed. She offers SUCH ENCOURAGEMENT and INSIGHT on LOVE that can fuel the fires of Passion for our Way to Heal the World. Cherokee, Rattlesnake Tooth: Symbol is Rainbow, a delicate display of electromagnetic rays of the SUN. 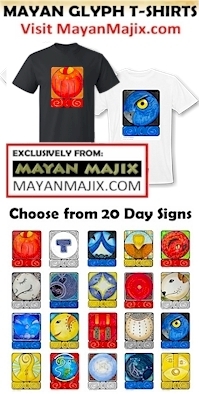 The Natal day sign of Medicine, the Shaman, the Priest, the Healer, and the Sorcererkh; Guardian of the Way, Keeper of the Keys of the secret Kingdom. another beautifully written message-There is a lot of positive energy around me just now. YAY – glad to hear it!